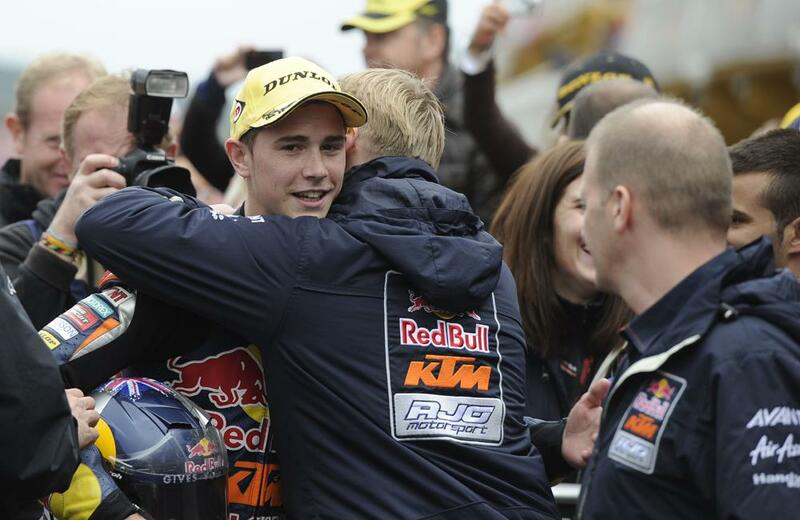 Danny Kent has admitted he must fight for the Moto3 world title in 2014 or risk losing his place in the GP paddock. The 19-year-old dropped a bombshell earlier this month when it was revealed he would leave the Tech 3 Moto2 squad halfway through a two-year deal after reaching an amicable agreement to part company with the French squad. Kent has endured a torrid first season in Moto2 but was in a decent run of form before he broke his right collarbone in a practice crash in Japan last Sunday morning. He will move back to the Red Bull KTM Ajo Moto3 squad that he left last season after winning two out of the last four races in the new 250cc single-cylinder four-stroke class in Japan and Valencia. Kent said he felt he had no choice but to quit Tech 3 to try and re-build his confidence and career back in Moto3. Kent decided to split amicably with Tech 3 after a heart-to-heart with French boss Herve Poncharal following last month’s Motorland Aragon race and he added: “I think it was best for my career to move on. Kent’s deal to return to the Red Bull KTM Ajo squad will see him join Australian Jack Miller and Red Bull Rookies Cup winner Karel Hanika.